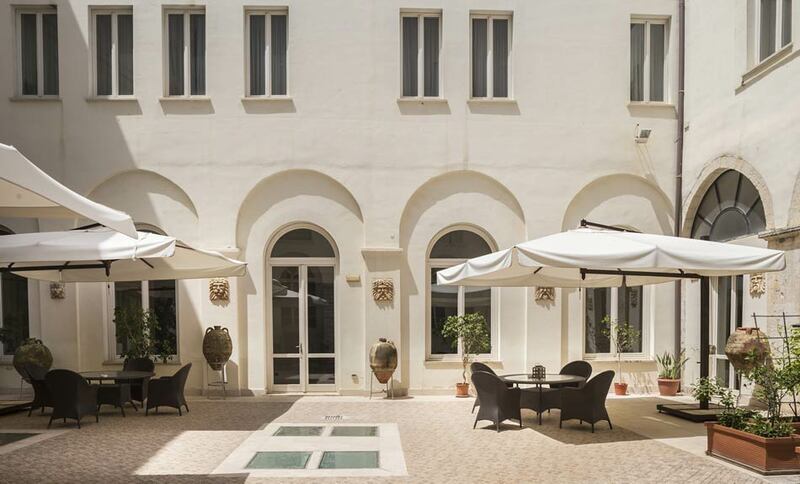 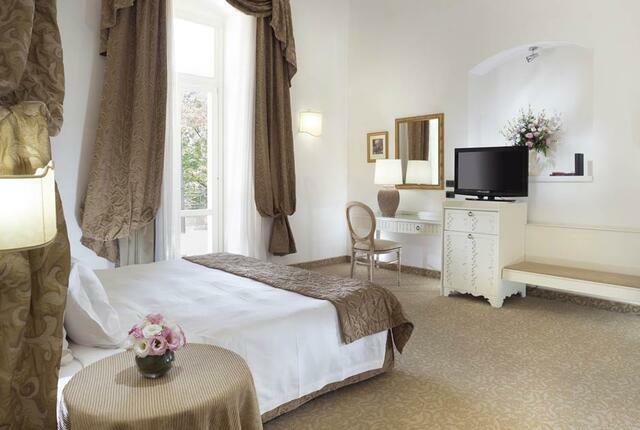 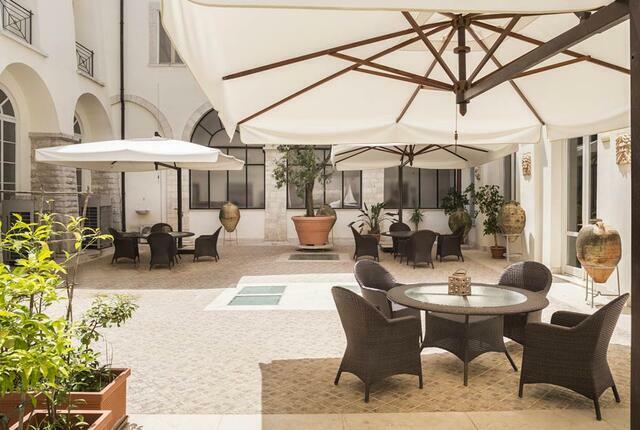 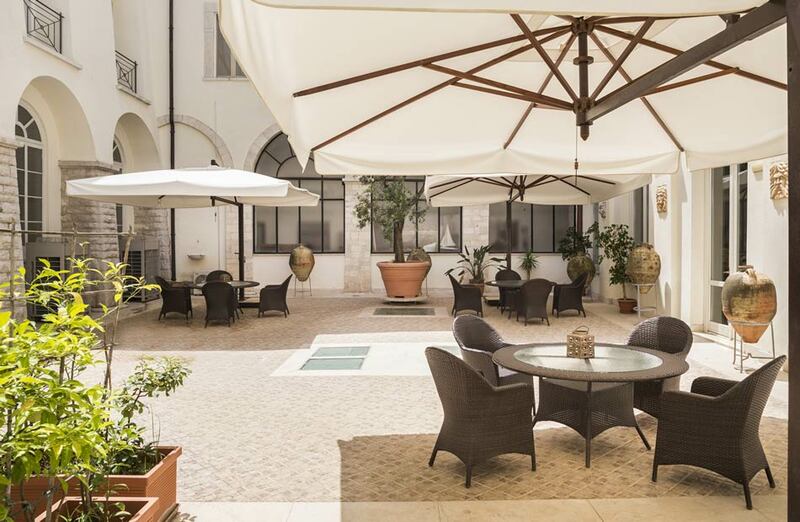 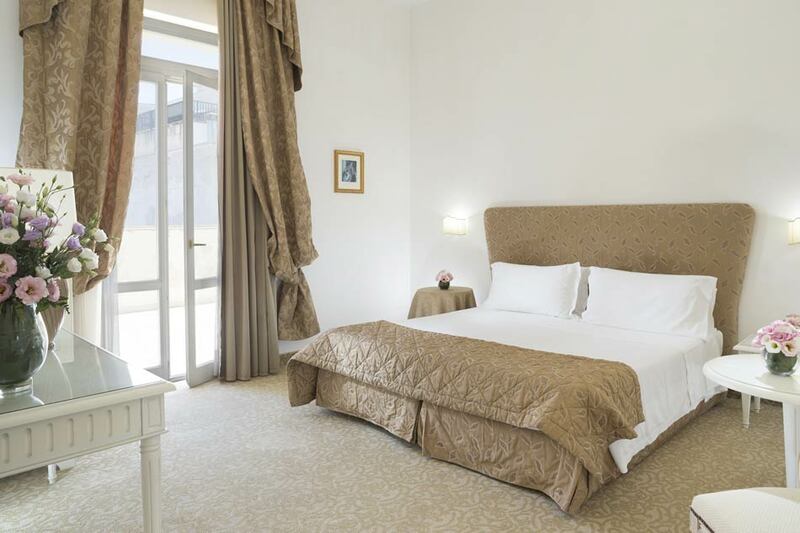 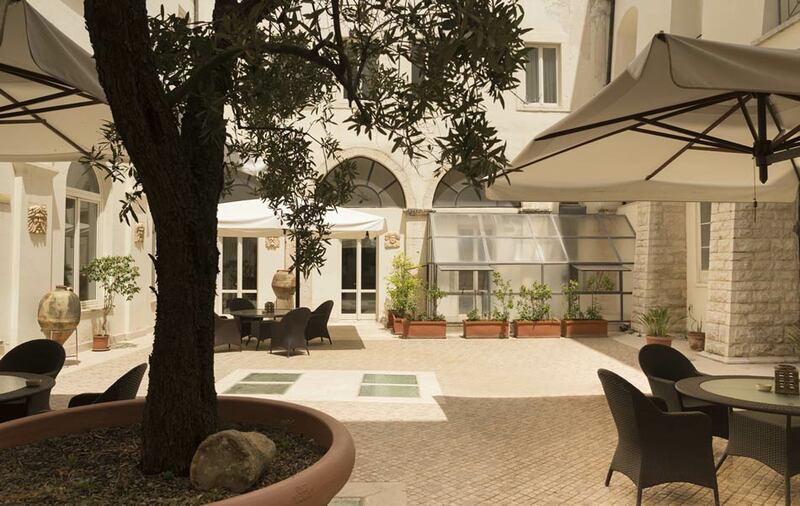 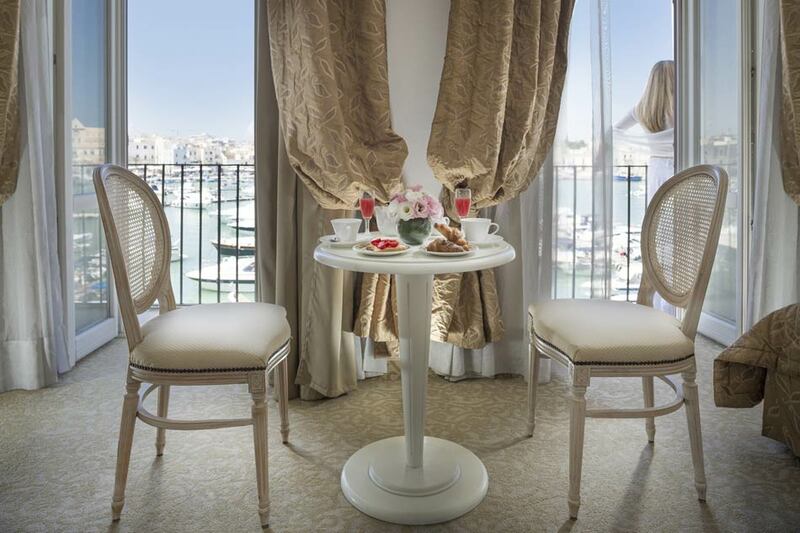 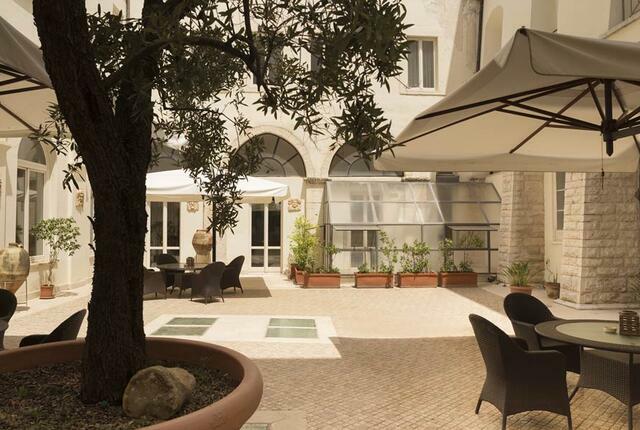 The rooms of San Paolo al Convento Hotel are ideal to spoil yourself with a charming stay and sleep in Trani’s most suggestive area. 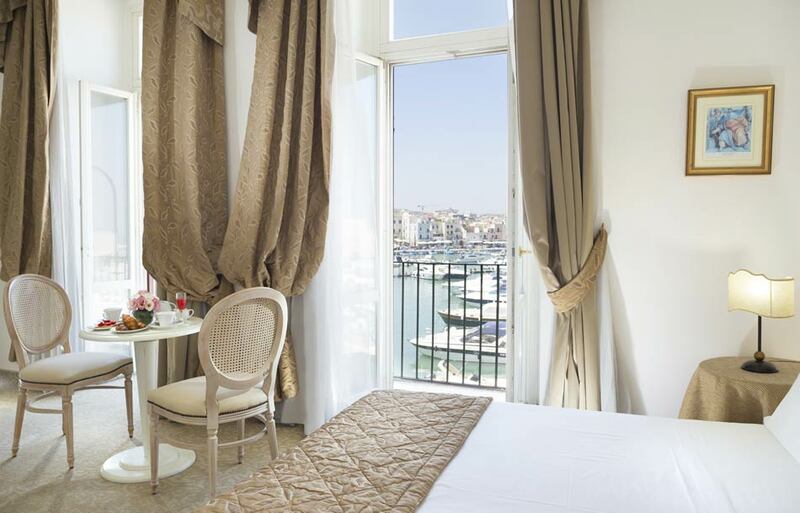 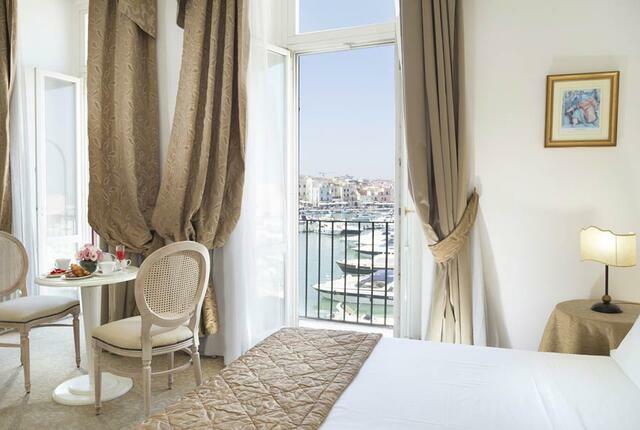 Our rooms come with a breathtaking bird’s eye view and from some of them it is possible to marvel at the sea and the stunning cathedral, whereas from the others you can admire the greenish park. 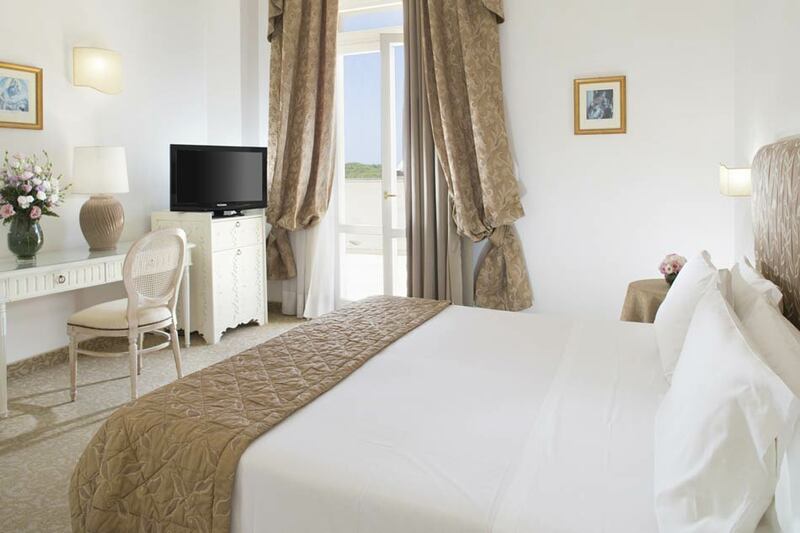 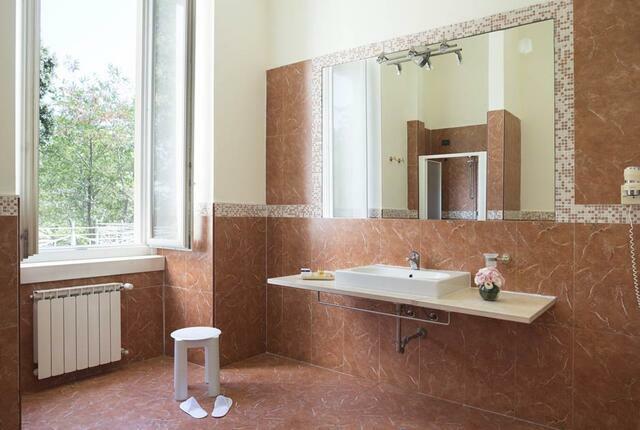 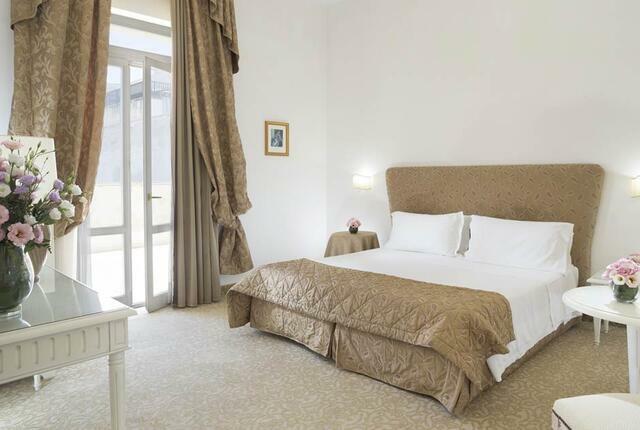 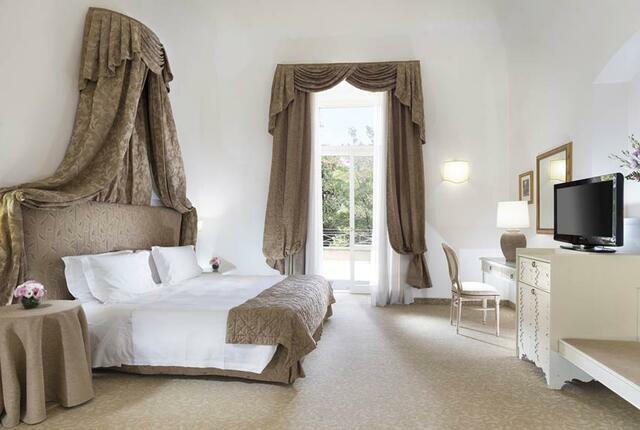 The rooms are spacious and welcoming and are almost all en-suite with large windows. 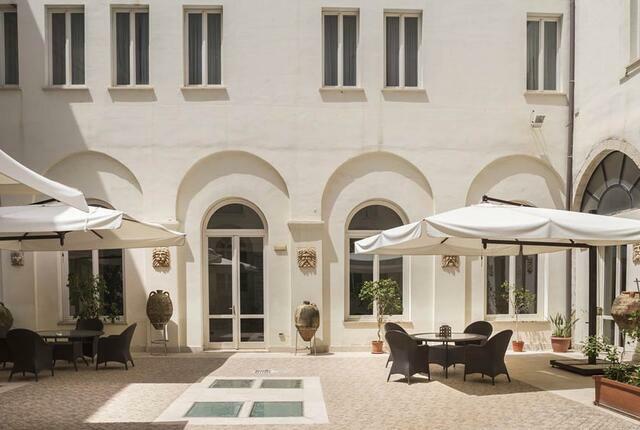 Wider rooms, approximately 50 m2 large, also feature a delicious balcony ideal to enjoy a fantastic al-fresco breakfast. 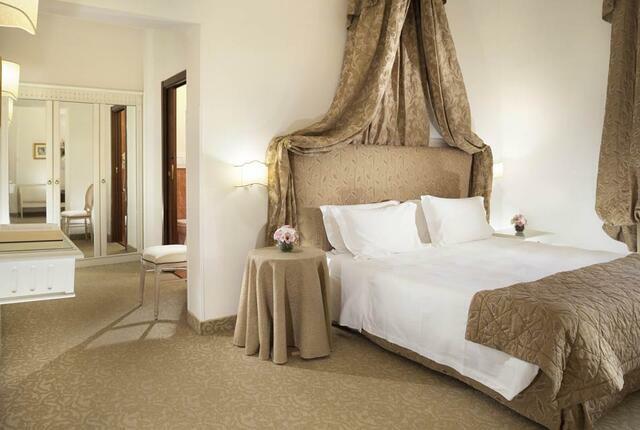 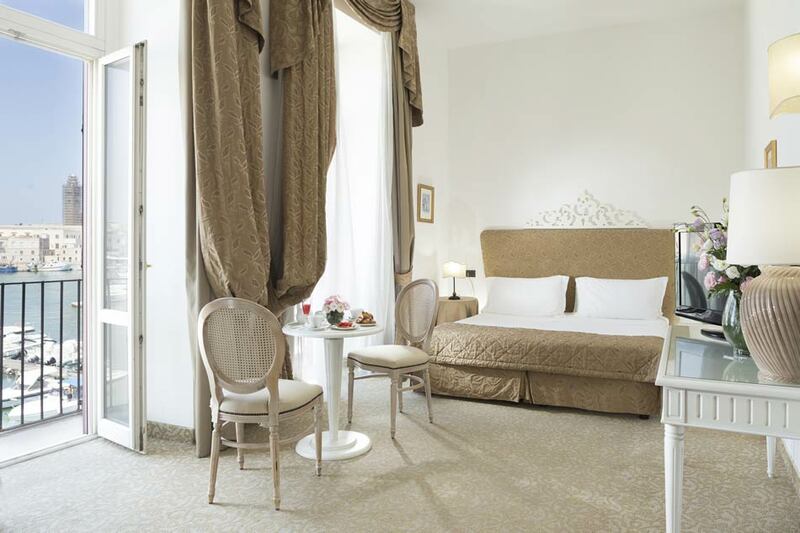 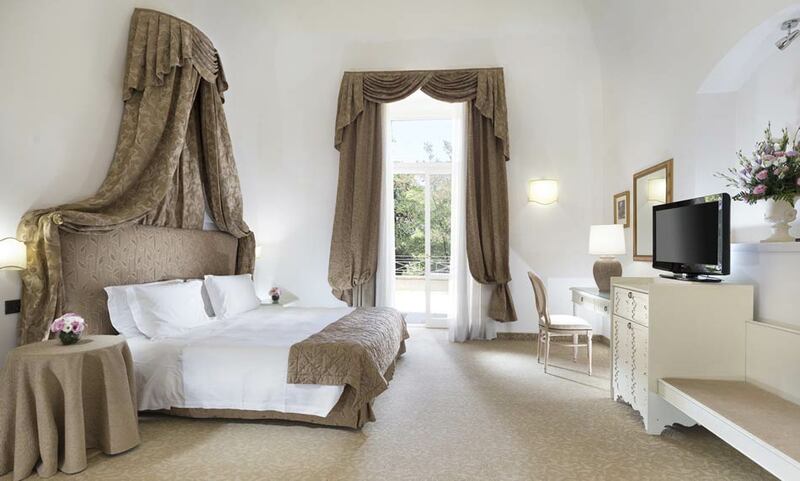 The décor is designed to create a royal atmosphere: precious carpets, rich igh-end luxury furniture, every details was conceived to convey rooms elegance and exclusivity.